I was working on some Christmas cards today and just adore the stamps this year. 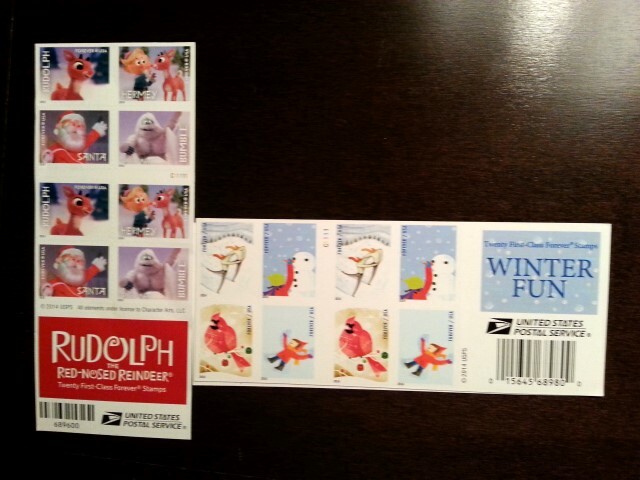 Rudolph the Red-Nosed Reindeer is my favorite Christmas movie and I love the stamps they produced for this year. Today’s giggleFritz post is made possible by my geeky love of stamps and Christmas.